Bio: Monica had many incredible opportunities growing up. At fairly early stages of her life, she was exposed to a wide range of activities, including taiko drumming. Entering the sixth grade at a relatively small public school in Dublin, Ohio, her sister encouraged her to try out for the taiko club that was created, funded, and led primarily by the middle school band director. Being an orchdork, Monica had no idea what her sister was talking about, but she decided to join anyways. 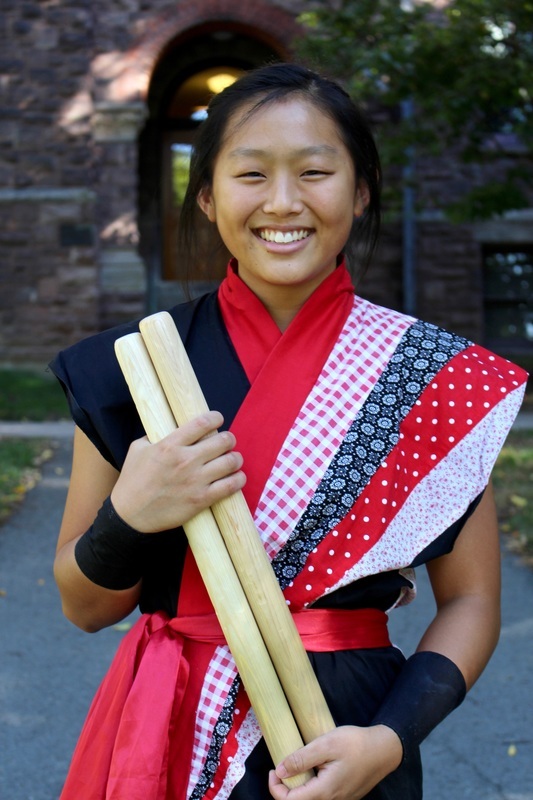 She is grateful that she did and continued playing in high school, meeting many amazing taiko drummers and traveling throughout the Midwest to perform. ​Preparing for life at Cornell, Monica fully expected to only join the club gymnastics team and have just enough time for classwork. She went to all of the meetings and was ready for her first practice until she chose to skip it and go to Yamatai auditions instead. It was probably the best decision she has ever made. Other Things: I am really clumsy and super awkward, I have a horrible memory, and I am somewhat obsessive about staying neat and organized.